Find out how to shut off your gas by Clovis Plumbing Services! Do you know where your gas shut off valve is? If not, you need to find out as soon as possible. Gas can be potentially explosive and harmful if the pipes are damaged during a disaster. It's important that you know how to turn off the gas supply at home quickly and easily before it's too late. Disasters that may require you to shut off your gas include anything that could damage the gas lines. These include earthquakes, hurricanes, tornadoes and the like. If you were not in the house during the disaster but smell gas, don't try to enter the house to get a gas shutdown device. Instead, call 9-1-1 or borrow someone's gas shut-off tool as the emergency service is likely to be overwhelmed. First, determine if gas is being used in your home. Houses can use gas for heating, keeping warm and cooking (ovens). If you think or know that your home has a device that uses gas, you should know where your gas line is. If a gas leak occurs in a non-catastrophic situation, it may be sufficient to shut off the gas on the fixture that uses gas. Most gases powered units have a local shut-off valve that shuts off gas directly to this unit. The following describes how to shut off the gas in your home when you smell leaking gas. The kitchen stove is the most obvious place for a gas leak. 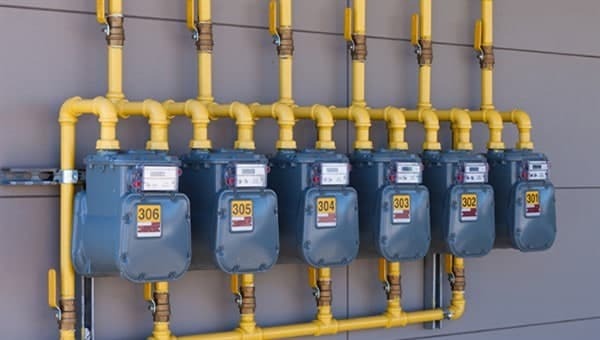 As with most gas appliances, the connection to the main gas line are the most likely locations for leaks. Be sure not to use the cooktop or oven while the smell of gas is in the air. 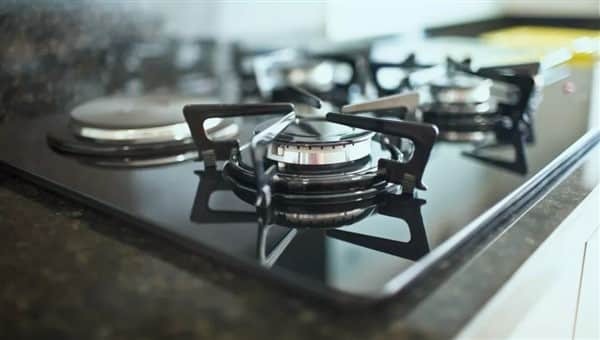 Sometimes a smell of gas can simply be caused by a burner that has been turned on accidentally without igniting the burner. If this is the case, turn off the burner knobs, open a window, and wait until the odor subsides. 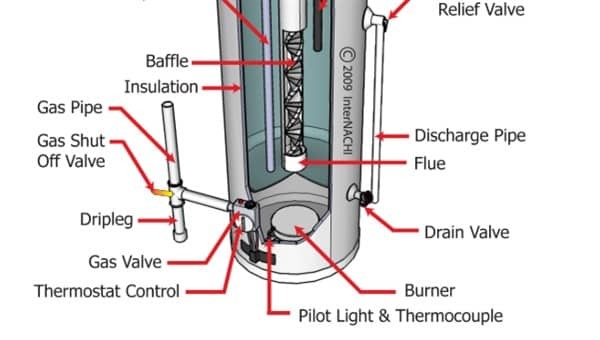 The gas pipe connections to the stove or range are usually located behind the stove. The unit must be carefully pulled out of the wall to expose the gas line and shut-off valve. 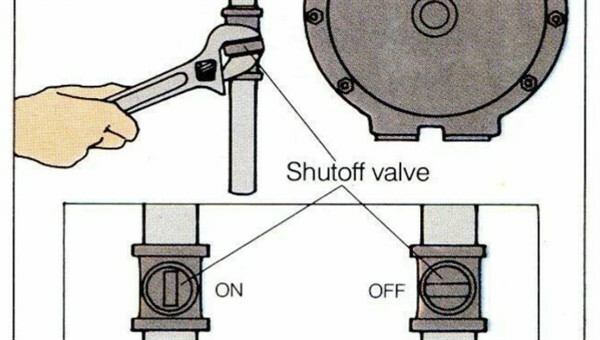 When the gas valve is shut off, connections can be checked and tightened. If the water heater is leaking, you can turn off the gas there. This valve only shuts off gas to the water heater service. This is especially important, as the water heater may fire up and cause an open fire if gas is leaking. The valve on a gas water heater is typically within 3 feet of the controller on the heater. The valve is located near the point where the gas line branches off to the water heater. If your furnace emits a gas smell, look for the shut off valve right near the furnace. Turning it so that the handle is at 90 degrees to the line of the pipe will shut off the gas. If the valve is not in a conspicuous place, follow the gas line from the unit backwards until you locate it. The gas valve must be installed within 3 feet of the furnace body. For you to completely shut off the gas in your home, you need to find the gas meter. A gas meter itself is similar to a power meter, with pipe coming in and out of it. To shut off the gas, look for a fitting with a T-junction. There is a small lever that requires a key on one side of the T-junction. By switching off the main gas shut-off on the meter ensures that no gas at all is introduced into the home. This should be your option if you can't determine which device is the source of the leak or can not find a local shut off valve. The gas meter is usually located in a service area of the house such as the garage, in a basement or on an exterior wall. The easiest way to turn this little lever is with a gas key. The gas key consists of a flat piece of metal with holes at both ends that resemble the shape of your gas shut off lever. The wrenches do not need to be adjusted and you only need to turn the gas connection. If for some reason, you can not access your gas key, you can use a Crescent Wrench or similar tool. It just takes a little more work to adjust the size properly. The search for a single gas valve should only be carried out if the smell of gas in the air is very weak. Natural gas or propane is a dangerous substance and you should never hesitate to call your utility company to investigate a suspected leak. In no case should you stay indoors or try to investigate the source of a leak if the smell of gas is strong or penetrating. Leave your home and call 911 or a licensed plumber in case of doubt. Check out our article on gas flex connectors!